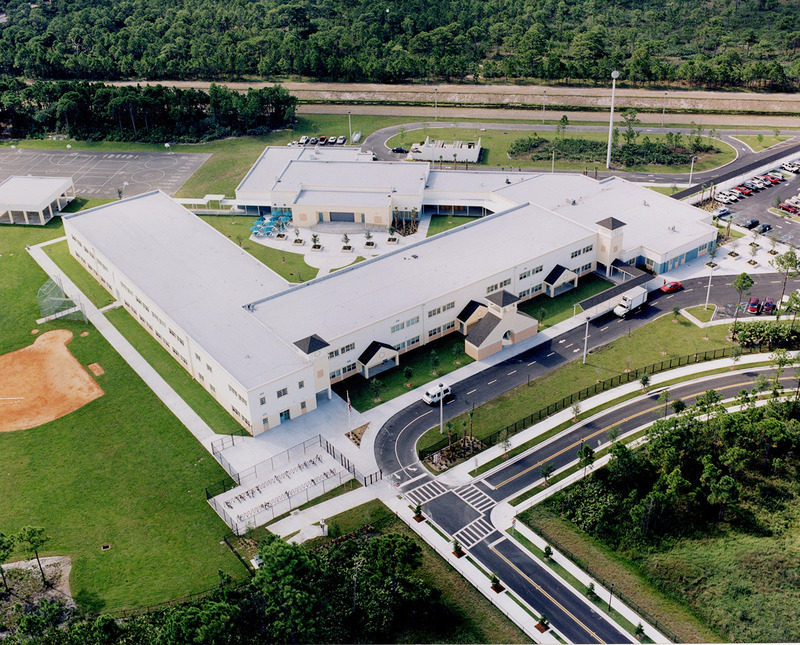 Beacon Cove Intermediate School - Alan Gerwig & Associates, Inc.
AGA was a member of the Design/Build team that the School District selected to design and construct the Beacon Cove Intermediate School. This school is located on a parcel of property established by the P.U.D. for a public school facility in the Town of Jupiter. AGA modeled the public water supply system to size the water main to demonstrate sufficient water supply for the fire suppression system. A municipal sanitary sewer lift station and force main was included. The on-site development design accommodated the necessary facilities while protecting the onsite wetland habitat and minimizing the site disturbance thereby reducing the overall project cost and impact to natural habitat that was present on the site.